Take a look at the sweet trailer for "Bakery in Brooklyn," coming to theaters and Video on Demand Jan. 30. The movie has a stellar cast consisting of Aimee Teegarden, Krysta Rodríguez, Ward Horton and Blanca Suárez. 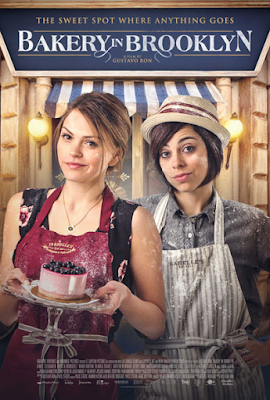 Vivien and Chloe have just inherited their Aunt Isabelle’s bakery, a boulangerie that has been a cornerstone of the neighborhood for years. Chloe wants a new image and product, while Vivien wants to make sure nothing changes. Their clash of ideas leads to a peculiar solution: they split the shop in half with a black line in the middle and each runs her business as she sees fit. Things heat up as they’re forced to fight over every customer who walks in the door. The neighborhood is changing as well, turning into an unlikely blend of young hipsters living alongside elderly people who’ve spent their lives there. But Vivien and Chloe will have to learn to overcome their differences and work together as a team in order to save the bakery and everything that truly matters in their lives. The coming together of two different personalities is a fantastic. There are not many movies that come out with something thoughtful and not completely drowned by action.